Take a look inside the luxurious B-Class and explore what it has to offer. You can also have fun picking out the perfect B-Class body colour that fits your personality to make a statement on the streets of Hamilton. After your sneak peek at the 2018 Mercedes-Benz B-Class interior, contact Mercedes-Benz Burlington to schedule a test drive! The Mercedes-Benz B-Class provides ultimate comfort with its seating, thanks to three-stage heating, memory functions, power lumbar support, and manual thigh supports. There’s plenty of space for five passengers inside the B-Class, but when you need to store your gear, the back seat folds down to open up more than 1,500 litres of space. There are also clever storage solutions available for smaller items. From THERMOTRONIC dual-zone automatic climate control to available COMAND navigation with LINGUATRONIC voice control, there’s no shortage of innovation in this cabin. Between interior ambient lighting and a panoramic sunroof, the B-Class cabin feels nothing short of upscale. The Mercedes-Benz B-Class has amazing available safety technology inside to make any run-of-the-mill errands in Milton or long trips to the lake a breeze. Blind spot monitoring makes sure you aware of obstacles you may not be able to see, and ATTENTION ASSIST® continuously monitors up to 70 parameters of driving behaviour and alerts the driver if it detects signs of drowsiness (like lane drifting). 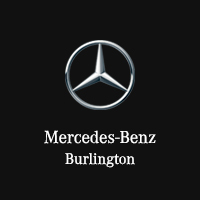 Contact Mercedes-Benz Burlington for a test drive to see for yourself, or compare the Mercedes-Benz B-Class vs. E-Class to learn more!